With the Layar Creator, you can enhance flyers, postcards, packaging or any other item with interactive content, including video messages, Web and social links, photo slideshows, music clips and much more! Bring print to life with rich media, including video messages, photo slideshows and music clips. Encourage interaction with links to share, follow and like your content on various social media networks. Find new ways to connect quickly via email or phone and with instant interactive polls and surveys. 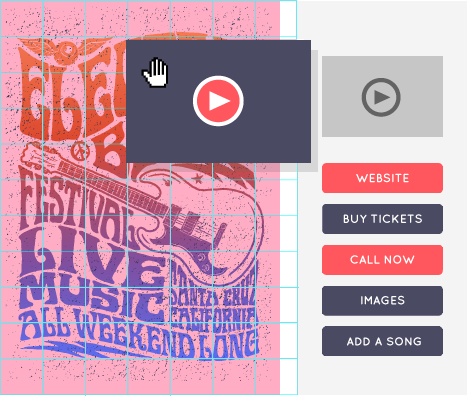 Use your creativity by embedding HTML, allowing other apps to open and other advanced features.